Our brains are possibly the most complex structure in evolutionary history, but at the same time it also appears to be relatively easy to confuse, especially with tricks such as Optical Illusions. Science has only recently started to work out how our brains are fooled by these. Have a look through the following 5 optical illusions and see for yourself. How many of these fool you? This probably freaked out more than a few of you. 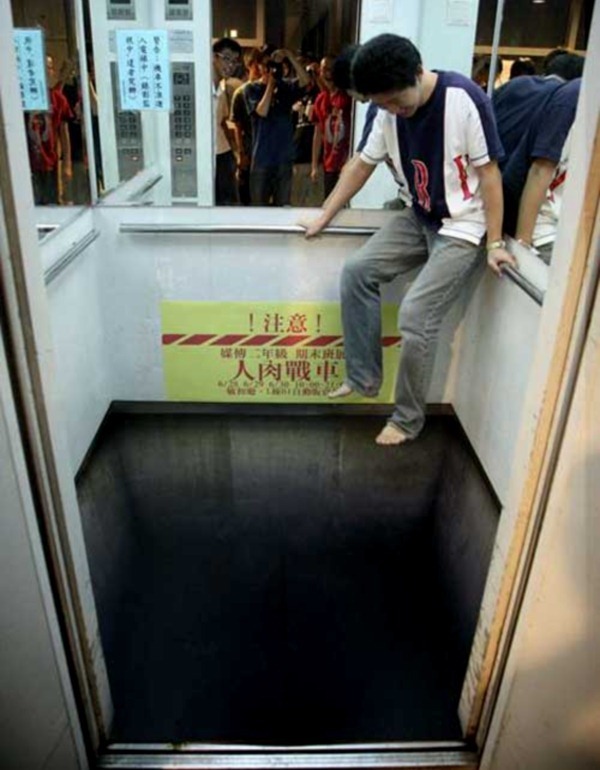 It’s a long way down – You’d certainly have second thoughts before walking into this lift/elevator.